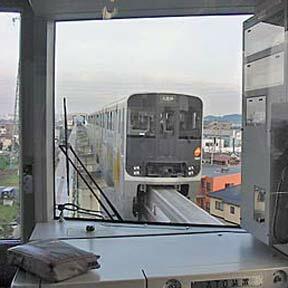 Mayor Mufi Hannemann tried out the Tokyo Tama Intercity Monorail in Japan yesterday. City officials toured the 10-mile system's command center and heard a pitch from three companies that want to build a similar system in Honolulu. The stadium board failed to give public notice before a vote, so the earliest a ban could take effect would be after this year's UH football season ends. Collectors are building appreciation for furniture and decorative arts from the Philippines. The senior is capable of playing anywhere on the court for the Rainbow Wahine. Aqua Hotels and Resorts plans to market its properties under two brands, reinforcing its expansion into the trendy boutique hotel market and leveraging the roughly $2 million it has spent to upgrade three of its Hawaii hotels. The state Supreme Court has disbarred former Family Court Judge Richard Y.S. Lee because of ethics violations.